With Canon's advanced MEAP technology, the Canon i-SENSYS LBP6680x is considered a high-end laser printer with additional security, environment-friendly, and workgroup solutions in one compact device. The i-SENSYS LBP-6680x laser printer ensures efficiency with ample built-in memory, gigabit Ethernet, and direct printing capabilities, but it only prints in monochrome and emits quite a little too much noise while in operation. The Canon i-SENSYS LBP6680x mono laser is a simple box-type printer using monochrome laser beam print method. The LBP6680x printer measures 400mm wide, 289mm tall, and 376mm deep, making it fairly compact for a cramped office desk. The control panel is highlighted by a 5-line LCD display with 12 intuitive operational keys and 8 LED status indicators. Connectivity is available via Ethernet or USB 2.0 at the rear, while the front bottom face has room for the paper cassette. Paper capacity is just right for its size, with the option to double the standard 250-sheet capacity of the Canon i-SENSYS LBP 6680x printer. Media handling is versatile enough for transparencies, post cards, envelopes, index cards, labels, and heavy paper, and to save resources, users can configure the device to print on both sides of the page. 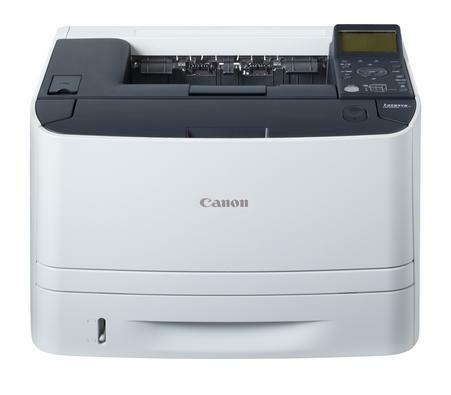 The Canon i-SENSYS LBP-6680x is fast, capable of producing up to 33ppm in 1200x1200dpi, so output looks sharp and crisp. Workgroups can feel at ease with high-end security features and reliable networking features. Weight is one of the major drawbacks of the Canon i-SENSYS LBP6680x laser printer because at 12.4Kg, it is heavier than it looks. The Canon LBP6680x printer could be better with a larger display screen and more intuitive controls on-board. Another setback is the absence of colour printing. The Canon i-SENSYS LBP6680x is also a little too noisy for some users.